The water coming into your home is quite valuable. You depend on it every day for cleaning, cooking, washing, and drinking, so it is important that it remains safe and clean. Sometimes, however, the water entering your home isn’t exactly what you’d expect. Perhaps it has been contaminated, riddled with sediment, or just doesn’t smell quite right. If this is the case, you need a water treatment system. One way to treat your water is with a water filtration system. 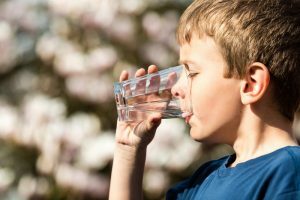 When you call for water well services in Bandera, TX, a service technician can test your quality of water to determine if a water filtration system is right for you. In this week’s blog, we have listed some of the signs that suggest that you may need a filtration system. Keep reading below to learn more. There are a number of reasons as to why your water might taste or smell funny, but no matter the reason, it isn’t necessarily something you’d want to deal with forever. If you notice a metallic or bitter taste in your tap water, it indicates the presence of some elemental contaminants. If your water smells like rotten egg, it suggests that there is sulfur in the water supply. The only color that your water should be is clear. Anything else suggests that there is some contaminant hanging out in your plumbing or water supply. Brief spurts of brown or red water might mean that you have a rusty pipe somewhere in your plumbing system. If you notice water that is turning orange, green, or any other odd color, it suggests that there is a more serious issue, like organic matter in the supply. In any case, a water filtration system may be able to help. Hard water is an issue faced by homeowners across the country. Hard water refers to water that has large quantities of minerals in it. Though it is not a serious threat to your health and safety, it still can have an impact on your plumbing system and appliances such as your dishwasher and your washing machine. If you’ve noticed a build-up of limescale or soap scum around your faucets and drains, you likely have an issue with hard water in your home. If you think that a water filtration system might be a smart choice for your home, consult with a professional. There are many options for water treatment, and only a professional plumber can determine which system is right for you. In most cases, your water will be tested to determine what is affecting your water to assess the risk and figure out the best solution. Don’t hesitate to contact a pro if you are concerned about the quality of the water entering your home. Contact D’Spain Sales & Service, Inc. today to figure out if a water treatment system is right for you! Why Should I Consider Zone Control?